How I found it: I have read much of Ondaatje's work since he is one of the quintessential contemporary Canadian authors. This is his first book in seven years and was critically acclaimed so I thought I would give it a read. What's it about? : This book is less of a novel and more like three interconnected novellas. The novel begins with the introduction of the characters that appear in each of the novellas: Anna Claire and Cooper. None of them are related by blood, but they have been raised as siblings on a Northern California ranch. Anna narrates the opening chapter will memories of their idyllic childhood and the startling events that ripped their family apart. The siblings drift apart and the remainder of the novel tells the stories of their disparate lives. Anna becomes a writer and historian studying a little known French poet. She travels to France to stay in the chateau that was once his, and the novel begins to explore the lives of the poet and his contemporaries in the chateau. Did I like it? 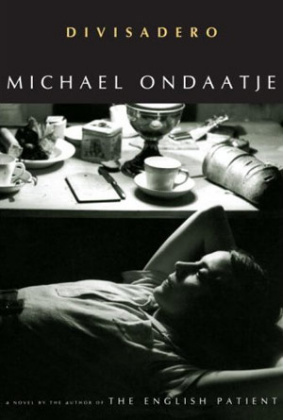 : This book was beautifully written, and as usual Ondaatje proved his chameleon-like quality to take on any perspective convincingly. However, I didn't really like this book very much. The inter-related quality of the storylines meant that the reader never really gets to hear the full story for some of the characters. As well, the inter-relatedness is not always immediately apparent: you turn the page and are suddenly introduced to a whole new set of characters who you only realize 20 pages later are meant to be related to the original characters in some way. But don't take my word for it: The usual publisher's blurbs and reader reviews from Amazon, a review from Quill and Quire, one from the book blog So Misguided, another from the International Herald Tribune, and another review from another book blogger, The Dewey Divas and the Dudes. Posted by Taryn at 9:59 a.m.